Tokyo, Japan, Sept. 16th 2015. 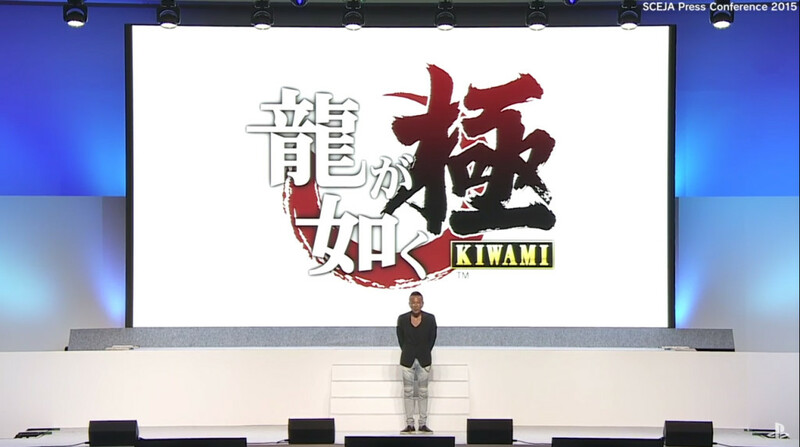 SEGA and Toshihiro Nagoshi (Yakuza series producer and now part of the SEGA directive board) have announced Ryu ga Gotoku* Kiwami (Yakuza Pole), Ryu Ga Gotoku* 6 (Yakuza 6), Phantasy Star Online 2, and Hatsune Miku Project Diva Future Tone for PS4 in 2016. Ryu ga Gotoku* Kiwami (Yakuza Pole): To celebrate the 10th Anniversary of the Yakuza Series, Nagoshi and the Yakuza team decided to remaster the original 1st Ryu Ga Gotoku. Not only the game will have a visual revamp but new areas that were planned originally but left out will be added to this version. Coming January 2016 in Japan with a price of 6,490 yen. Ryu Ga Gotoku 6 (Yakuza 6): The very next entry on the Yakuza series will be arriving PS4 in Fall 2016 in Japan as a PS4 exclusive title. Phantasy Star Online 2: This popular SEGA RPG will arrive PS4 with a new epsiode in Japan in 2016. Hatsune Miku Project Diva Future Tone: Based on the Arcade of the same name, the game will arrive PS4 on 2016 in Japan. Hatsune Miku Project Diva X: The game is coming for PS4 and PS Vita on 2016 in Japan. More details in our previous report. *Note: Ryu Ga Gotoku actually means “Lit like a Dragon” but Yakuza was used because of the series localization usage in the west. Aditionally, SEGA feat. Hatsune Miku for Playstation VR (formerly Project Morpheus) and Project Diva X were showcased on the SCEJA spotlight videos. TGS 2015 : Watch the SEGA Day 2 Stream live!